I recently upgraded my BB package with BT from option 3 to infinity BB and calls unlimited option 2. I also took the Line rental saver option. Apart from a minor hiccup which BT resolved i have been very happy with the service. I was very suprised and happy that BT had credited me £10 which was for the delay on my original infinty installation by 10 days. I was not previously aware of recieving this £10 reduction as this has not been mentioned to me before. This is shown on my bill as "CSGS Delayed Provision - Missed app. The other unsuall thing that has appeared on my recent bill is the comment regarding the line rental saver offer " NB. You need to make at least two calls a month to avoid a £1.50 monthly charge. Payment is non-refundable." This line was never mentioned on the package details when placing the order. I have checked my order and the order correspondance recieved by post with TC's. A liitle bit naughty to add this now without notification. I can see this on all their current packages now but this line was not there before. 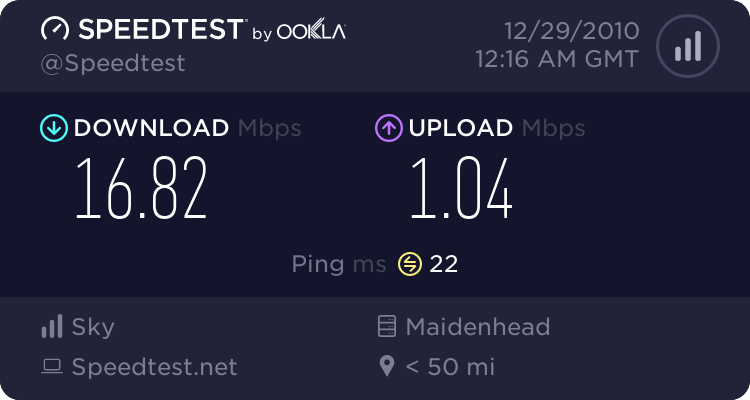 Any how still happy with BT but would have appreciated some correspondance to show that extra line regarding the line rental saver. Do you have a calls package such as Evening & Weekend or Anytime? If so, the (free) included calls count. 0845, anything at all counts. Edit - checking your package, yes it's Anytime? Do you never make any outgoing calls? Edit 2 - If you go to this page, scroll down to the "Legal stuff", and expand the second item - Calling Plans and line rental? Line Rental Saver. Available to BT Calling Plan customers paying £120 for 12 months in advance by debit/credit card � equivalent to £10 a month (Full price changed to £120 on 13/11/10). Any additional charges to be paid by Direct Debit with e-billing (previous discount for the latter will no longer apply). At least two BT calls must be made per month or six BT calls per quarter to avoid a monthly charge of £1.50 or a quarterly charge of £4.50 being added to your bill. Advance payment is non-refundable. Exclusions and conditions apply. I can see this in the legal stuff now. It did not show this line in january 2011 on the order. This is also not shown on the order which was sent by post. Spoke to BT about this by phone an hour ago. They have agreed that this was not indicated on the online order on some oders online in january due to some problems at that time. Its similar to issues where people recieved the homehub 2 instead the homehub 3 as shown on the web site at that time. I think they said that the web site was changed and updated 28 jan.
To BT's credit they gave me £10 for a missed appontment which i had no knowledge of. What happened was i had my first FTTC install fail due to exchange problems. The engineer was at my house and couldn't get infinity to work. He then had to put my old installation back untill the exchange problem was rectified. Ten days later they came back and its been great. The guy i spoke today said that that the £10 was for BT not getting me fully working that day. To be honest i am not complaining just highlighting something i have observed today.